Tasker C276 speakerkabel, dit is een zeer degelijke maar toch soepele speakerkabel met 2,5 kwadraats aders. Deze kabel is afgewerkt met vergulde Neutrik connectoren en heeft aan beide zijden een haakse connector. Purchased a 5/6 meter long cable to be able to set my (guitar) Tube amp on the shelf atop of my desk while setting the 2x12 cab behind me at the other end of the room. The cable in itself is of really great quality both in components and build, nice, heavy and sturdy. Viek provided an amazing customer by answering all my questions and addressing all of my doubts quickly and in a very friendly manner. Totally loved the opportunity the website gives to customize your item according to current/specific needs. I am also very pleased with the prices, given the quality of what I have purchased I find the price I have paid definitely more than honest. 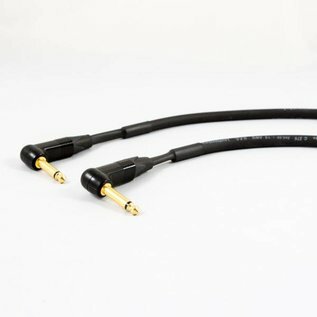 I definitely recommend purchasing your cables at Viking Cable whatever your instrumental needs are, and I will myself buy more in the near future or whenever I will need a new speaker cable for another amp. This is for sure my go-to reseller from now on!! !